A specially formulated detergent deodoriser for the treatment of urine deposits in carpets and fabrics. 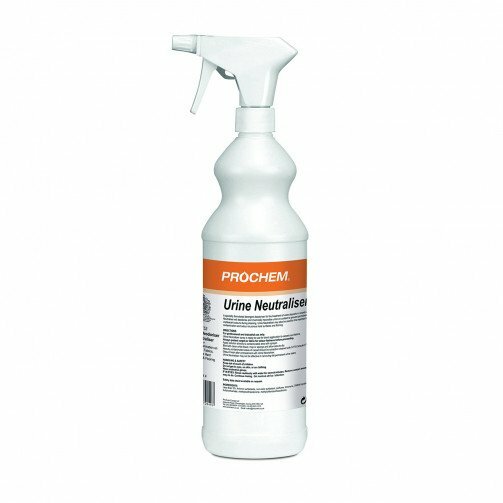 Urine Neutraliser will deodorise and chemically neutralise urine on contact to prevent permanent staining and unpleasant odours during cleaning. 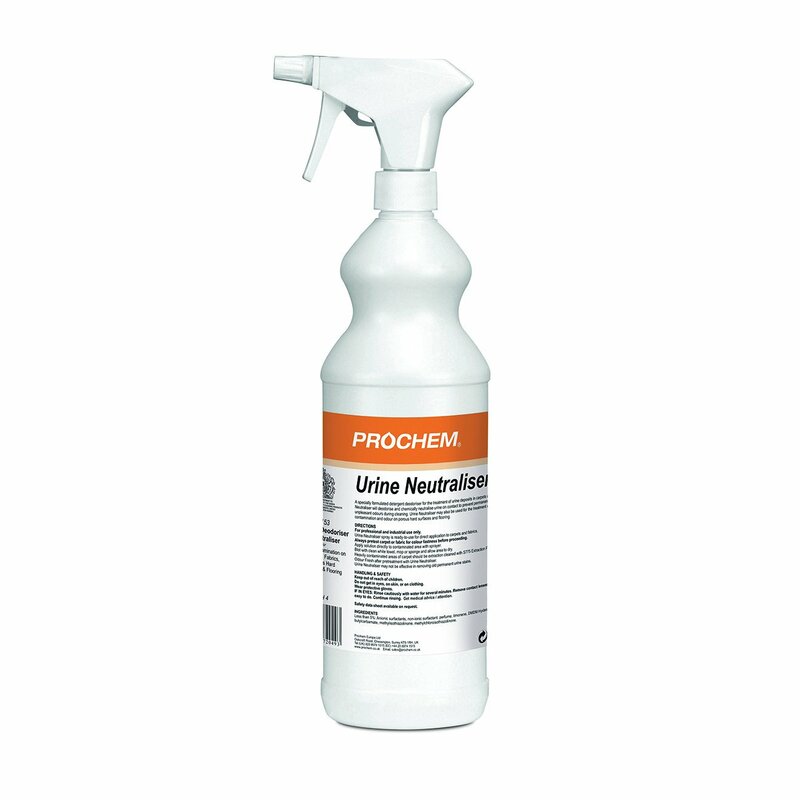 Urine Neutraliser may also be used for the treatment of urine contamination and odour on porous hard surfaces and flooring. Neutralises odour from urine deposits on contact. Dilution 1 to 1 or ready-to-use. Available in a 5 litre or 1 litre ready-to-use spray. Dilution 1 to 1 pH4. Prochem chemicals have a worldwide reputation for outstanding performance in the professional, commercial and institutional cleaning sectors. Specialist products cover a whole range of requirements for carpets, fabrics, floors and surface cleaning technologies and maintenance.